Are you into making customer experience predictions for next year? Personally, I'm over predictions! Any predictions! So let's forget about predictions. They never seem to be right. They never seem to be executed. And they seem to be the same year over year. I think we're not getting enough traction yet with more-advanced, innovative CX work across the board because there are still so many newbies to this arena to turn those predictions into reality. In other words, the things that are being predicted are too advanced for the most basic, for those who are just getting started, which includes, well, a lot companies. I think Seth Godin said it best in his recent post, Surefire Predictions. Instead of predictions, let's make some resolutions, instead. Predictions are things you think will happen (sometimes based on past data/performance/trends), but resolutions are different. Resolutions are a decision to do something. And if you write them down and put them out into the universe, you definitely need to be accountable for them. So, let's resolve to do something! Let's resolve to improve the customer experience. What shall we list as our resolutions for 2016? 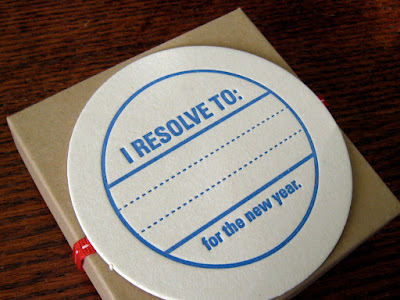 Will you resolve to do the following? There are a lot of other resolutions that you could put out there, but this is a huge start. There's lots to do, and you can't really get do more until you get these basics down. Let me know how you make out on these resolutions in 2016! Good luck! Your frontline staff (all of your employees, for that matter) is the window to the soul of your organization. Have you ever thought of them in that manner? They truly are that window. 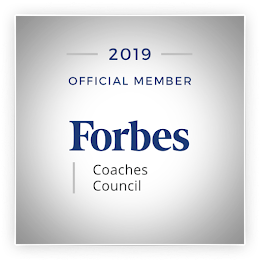 They provide a glimpse into the organization and all its inner workings: your culture, your workplace environment, your employee experience, your customer experience, and more. 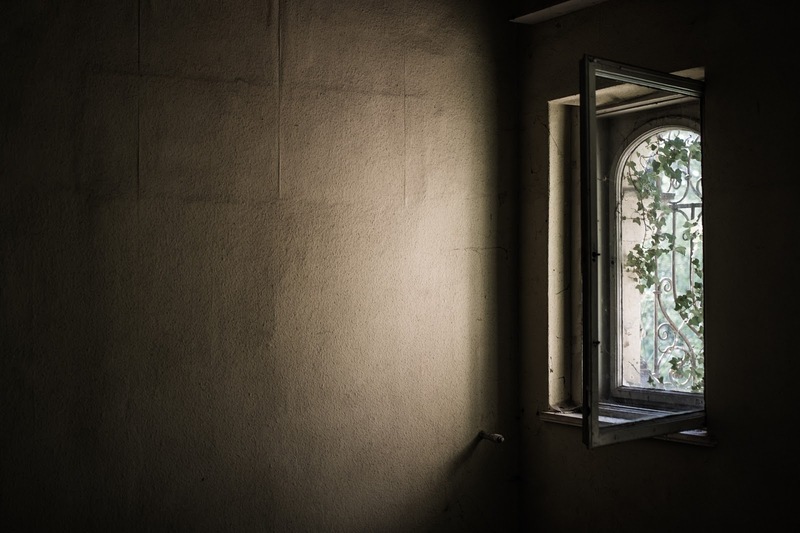 So, imagine if the window to the soul of your organization is broken. If employees ain't happy, ain't nobody happy! If that's the case, know that it is your fault. Somewhere along the way, communication broke down or expectations weren't (properly) set. Imagine if your employees aren't treating your customers well. Imagine if they take attitude with your customers or aren't willing to be helpful. What if they deliver an experience that is totally counter to what your customers expect? What if the way they act or the words they use with your customers don't reflect your culture or your brand? Imagine if your employees make your customers feel like the women in this video make the main character feel. Granted, the women are fellow customers, but the point is still made: attitude and word choices impact those around you. Do your customers feel deflated after interacting with your employees? How does this happen? Again, it's your fault. You've hired wrong. Failed to train properly. Haven't communicated what a great experience looks like. Didn't provide the tools or resources for employees to do their jobs properly. First impressions are everything. First impressions are lasting impressions. Those windows (your frontline) make a first impression - with every interaction. They give a glimpse into how your organization hires, prepares its employees, and feels about customers overall. They set the expectation for what lies ahead, causing customers to either return or move on. So make sure your windows aren't dirty or broken (so to speak). Take a look at your windows. What do you see? Do they need to be cleaned? Repaired? If you want to fix the customer experience, the #1 thing you need to focus on is the employee experience. 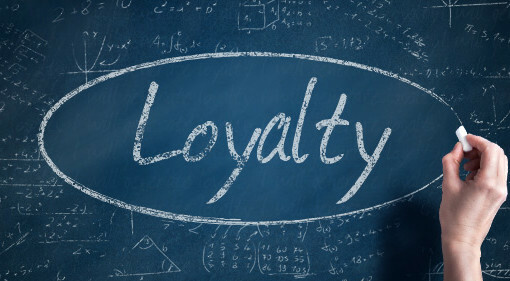 Do you know what customer loyalty is? When people at your company think about "customer loyalty," are they thinking about your customers' likelihood to recommend? likelihood to repurchase? likelihood to purchase additional products? How does your company define customer loyalty? I had a situation recently that caused me to call on a provider to whom I've paid thousands and thousands of dollars by way of monthly premiums for the last 20+ years. I've never filed a claim, but I did six weeks ago. It's not been a good customer experience since that day. In conversations I've had with family and friends about this incident/relationship, they've questioned "customer loyalty." What does it mean? What does it really get you? Is that loyalty about being a long-term customer and getting an experience that reflects those 20+ years as a customer? Or is that loyalty about them wanting you to be customer forever, at any or all costs? In other words, whose side, which side, defines customer loyalty. Why do I ask? Because, typically, after the incident I had, companies drop their customers, regardless of said "loyalty." So, again, is loyalty about an individual being a long-term customer, or is loyalty about a company "appreciating" the fact that they've had a customer for a long term? See the difference? 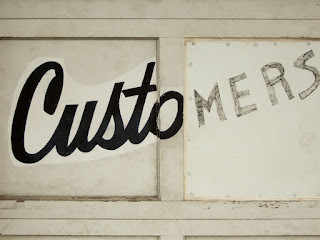 Is the onus on the customer or on the company? Is it about them, or is it about us? Whose loyalty? Are you doing great things for your customers? Or are you expecting customers to do great things with and for you? Big difference. Yet shouldn't they go hand in hand? What happens when we really understand our customers' desired outcomes or the jobs they are trying to do? A few weeks ago, I wrote about Faster Horses... and Customer Outcomes and the importance of asking the right questions - to understand desired outcomes - in order to develop products your customers will want to use/buy. ... step back and ask customers about their pain points with the current product, what it's not doing for them, what they're trying to achieve that they can't. Or bypass thinking about the current product; focus on a situation for which you'll develop a new or better solution. Focus on what customers are trying to do and uncover unmet needs to aid in your new product design efforts. Pretty awesome concept! Imagine if that technology appeared on more trucks around the globe. I thought it was important to share an example of what happens when we understand what our customers are trying to do and how we can help them do it - or what the current experience is and how we can improve upon it. This particular example is pretty powerful because it's a lifesaver. Literally. What are some of the key questions that you might have about becoming a leader - or just about leadership, in general? Two weeks ago, I was honored to be featured alongside other leadership experts on Mashable's #BizChats Twitter chat about leadership and on how to become a strong leader. The conversation was inspiring and fast moving, as these chats often go. Q1. What are some defining traits of a leader? A leader doesn't tell her team what to do; instead, she inspires them to use what's already inside to do great things. She supports and uplifts her team. She's honest, transparent, has a great attitude, communicates well, is always learning, empowers others, and does the right thing. One thing to remember is that a leader doesn't necessarily have a team but must have followers. Q2. What are some common mistakes that new leaders make? Q3. How can a leader take on more ownership without becoming overwhelmed? They can delegate and then empower their followers. They'll still be accountable, but it's OK to pass on responsibility to the team. Also, leaders don't have to take on more ownership; they ought to inspire and guide and teach - and give up some ownership. Q4. What are some useful tips for leaders managing a team for the first time? Think about a leader in your past: To be like them or to not be like them? That is the question. Q5. What steps should a leader take when dealing with office politics and/or conflicts? Recognize that there is conflict; discuss what it is and what it means for the team. Understand the opposing positions, and figure out how you'll work together. Don't let things get personal, and don't take things personally. Communicate early and often. And in the end, don't forget patience and respect. Q6. How does emotional intelligence play into effective leadership? When you understand how your emotions affect others, when you have this emotional awareness, you can better control your reactions. It then keeps you from attacking others, allows you to feel empathy, and allows you to resolve conflict more effectively and diplomatically. Q7. What are some myths about leadership? Q8. What final tips do you have into evolving into a leader? Think of past leaders and pull lessons from the good ones and swear off traits from the bad ones! To see the full wrap-up of the chat, check out Mashable's write-up on it or the Storify version. Today I'm pleased to share a guest post by Raviv Turner. When it comes down to it, how well do you truly understand your customer base? Do you understand their motivation, lifestyle, and other attributes that affect their spending habits? Understanding what makes your customer tick can help you hone in on buying behavior and plan everything from ad copy to new product lines. From start to finish, use accurate data to create customer personas. Not taking the time to get to know and understand your customers can doom you to mediocrity. In 2012, JCPenney decided to launch a dramatic rebrand under the leadership of new CEO, Ron Johnson. The plan was to not only change the look and feel of the stores but also overhaul how the company did business completely. He decided to discontinue lucrative JCP private label brands and replace them with designer clothing. The clothes he replaced the line with were priced higher than the average JCPenney’s customer would budget. He pretty much changed everything about the brand, without thinking of his company’s loyal customers. The rebranding flopped and sales figures fell flat. Johnson later admitted he had made assumptions about his customers without looking at the data. He told Business Week that he’d believed that customers were tired of all the special sales promotions and coupons. It turned out that the very thing he had cut was what had been driving customer loyalty all along. It was a tough and expensive lesson for the brand. The problem with many personas is that they are either based on irrelevant data about your prospect, use poorly sourced data, or are based on what is sometimes referred to as “ouija board personas” — customer profiles built from no actual data at all. Personas are meant to be fictionalized representations of buyers, based on actual existing data. The fiction isn’t meant to be entertaining; it’s meant to provide insight that helps marketers understand their buyers as real people with concrete motivations, desires, and needs. If you don’t understand your customers, you can’t sell to them. Buyer personas can help businesses truly harness the perception and usefulness of their brand through the eyes of their customer, and it can’t happen too soon. There’s a failure to thrive among brands that struggle to understand some of the basic motivations their customers have. For example, a Brandshare study recently found that 51% of their respondents are disappointed with the way brands respond to their needs. Only 10% of this same group believed that brands understand and respond well to their needs. An accurate buyer persona can help you see inside the mind of your customer, anticipate their needs, and develop products to fulfill those needs. It’s a marketer’s dream to get inside the customer’s head. So how do you get to know your customers, anyway? The answer is data. (Accurate data, to be more specific.) Qualitative research is a great way to start getting to know your customers. You can start to gather this data through the use of customer surveys, telephone interviews, in-person interviews, and focus groups. For each task, make it short and sweet, 7-10 questions designed to give you the best insights based on their behavioral drivers, objections to purchasing, and motivation to buy. Once you’ve got the data, you can start to put a whole image together of your customers and begin creating accurate, insightful customer personas. Other data-gathering activities such as data mining, social media usage, etc. 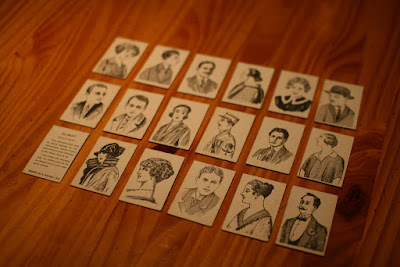 can come together at a later date, giving you further insight into your customers. Note: This post was originally published on the Caliber UX blog and is reposted here with permission. Raviv Turner is the Co-Founder & CEO of Caliber UX, a customer journey mapping and analytics SwaS (Software with a Service). Raviv has been developing custom software experiences for over 15 years in industries ranging from animation, gaming, architecture, marketing, and healthcare. He was Co-Founder at Guerillapps, a social gaming platform. Prior to founding Caliber UX, Raviv was Director of UX at FullContact and VP Product at TapInfluence. He is a Product Design & UX mentor at Techstars and holds a MPS in Interactive Media from New York University. Today I'm pleased to share a guest post by Joseph Michelli. executing across key touch points to delight customers. I’m honored to provide a guest blog, in keeping with her thought leadership on these important topics. For the sake of this post, imagine that you lead a company with an excellent product and equally outstanding marketing. You have a steady stream of customers frequenting your business but fear your competitors may have a more-consistent or elevated customer experience. In your mind, it is only a matter of time before customers churn to your competitors, unless you improve the overall experience you provide. According to Forrester Research, 92% of leadership teams face this challenge, and thus place customer experience improvement among their top strategic priorities. Unfortunately, the American Customer Satisfaction Index (ACSI) reports consumer satisfaction (let alone delight) is at a 9-year low. In summary, leaders have concern and prioritize experience improvement strategy, but customers aren’t reporting progress. 2) Mapping of the Customer Journey and Simplifying that Map: While the brand had rich departmental level process maps, Mercedes-Benz USA never had a comprehensive view of typical customer journeys through pre-sale, sale, and post-sale. Marketing, sales, and service all had their own siloed views of the customer journey. These disparate perspectives left gaps for customers at transition points and often were developed from the brands’ perspective, not the customer’s viewpoint. After the comprehensive maps were created, those maps were simplified into journey wheels that create line-of-sight improvement opportunities for everyone representing Mercedes-Benz. 3) Measuring and Leveraging Customer Feedback: MBUSA was quick to acknowledge that they lacked the core competency of effectively leveraging customer feedback in real-time. That changed with the development of measurement tools which are deployed at key points along the customer journey and which capture both transactional satisfaction and relational engagement. 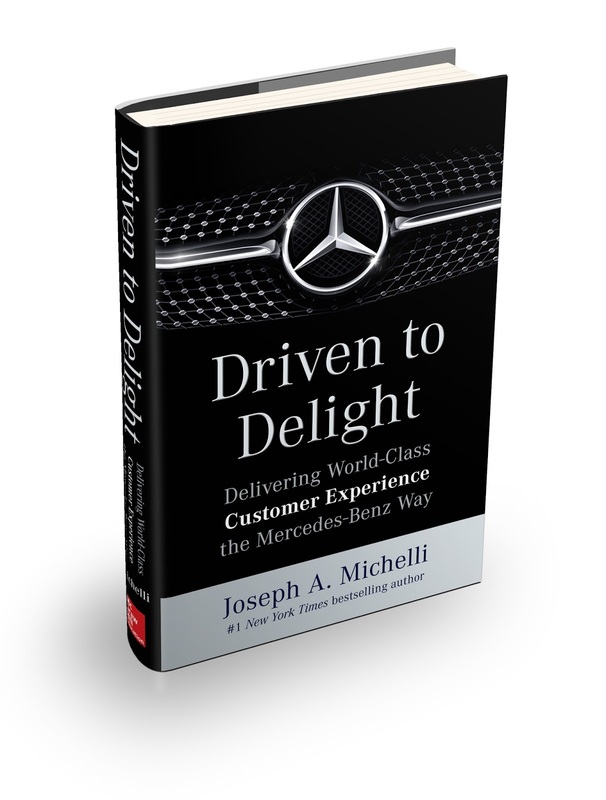 4) Aligning Incentives: Leaders at Mercedes-Benz USA worked with dealer partners to link performance on customer experience metrics to the amount of margin dealers would earn. Poor customer experience scores resulted in less money per car. The money that was not earned by under-performing dealers was cycled back in the form of a bonus for those performing at the highest levels on customer ratings of experience. 5) Committing for the Long Term: MBUSA is in the customer-centric transformation for the long haul. To hear leaders talk, there is no turning back and no time to linger on past victories. They want to not only be best in automotive but to also be among the “best-of-the-best” customer experience providers irrespective of industry. MBUSA leaders talk about customer experience in terms of legacy, dynasty, and a never-ending journey. So, how do you shape-up against the 5 keys shared above? Are you bridging the “execution gap” for customer experience delivery? Most important, are you confident your people are consistently “driven to delight” one another and your customers? I originally wrote today's post for Intradiem. It was published on their blog on June 18, 2015. Are your employees working hard, working smart, or both? I've previously written about employee effort and employee empowerment. In this post, I'll tackle employee efficiency. How is that different from the other two? Let's start by defining efficiency or being efficient, and then I'll come back to that question. 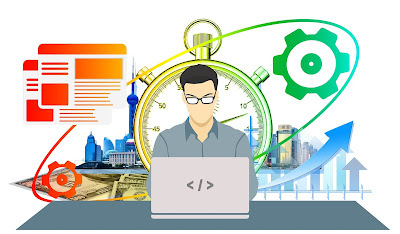 According to Dictionary.com, efficiency is: the state or quality of being efficient, or able to accomplish something with the least waste of time and effort; competency in performance; accomplishment of or ability to accomplish a job with a minimum expenditure of time and effort. If we reduce employee effort and increase employee empowerment, the outcome ought to be improved employee efficiency. If we hire the right employees*, if our employees are engaged and passionate about what they do, the outcome ought to be improved employee efficiency; they'll find the right way to work. *Inefficiencies can be introduced when we hire the wrong people - those who don't have the right skills or who just don't know how to get the job done. Inefficiencies can also be introduced when we ask employees to do more than they are capable of doing in the allotted time, often resulting in burnout. Assuming the two items mentioned in the previous paragraph are not a factor, how do we know if our employees are or aren't working efficiently? First, we can see where they are wasting time, effort, and materials. Second, we can measure efficiency with various metrics. Of course, the key is not to focus on the metrics but on the outcomes. When we identify an inefficient process, let's fix it - not beat up the employee for doing what he was told to do with the tools he was given. And third, employees can tell us about the inefficiencies themselves. 1. Journey mapping: When we walk in the employee's shoes and map what he is trying to do, we can easily identify areas of the process that are painpoints, that are taking more steps than reasonable, or that are being done with the wrong tools. Bottom line, mapping can help call out inefficiencies in any process. Map from the employee's perspective and incorporate the employee's voice and feedback into the map to ensure you really understand what he's going through or dealing with. 2. Root cause analysis: It provides us with answers - not off-the-cuff answers but drill-deep-down answers - to product or service issues. Sometimes the answers are not the obvious. We need to step back and think deeper about why things are the way they are. I like using 5 Whys to conduct root cause analysis. How it works: State the problem and then ask "Why?" five times to drill down to the ultimate cause. You can adapt this process to your needs; sometimes asking "Why?" five times is too many, and sometimes you need to ask it more than five times. How can we help employees work more efficiently? In a nutshell, we need to ensure they have the knowledge and tools to meet the day's challenges. How do we achieve this? Open and ongoing communication: let's ensure employees are working on the right things, things that matter; if we're not talking to them regularly about what's on their plates and what's important, they may be spending too much time on low or lesser priority items. Help them prioritize. Eliminate ambiguity and uncertainty: vagueness is the absence of clarity, which is required for employees to know what is expected of them, both in their roles within the company and how what they do contributes and relates to the customer experience. Culture: think about your workplace culture. Does it encourage or inhibit productivity? Is yours a culture that supports employee innovation and values employees who question "why do we still do things this way?" Feedback: give employees feedback about their work but also listen to their input and opinions about how things are getting done. Don't discount their opinions and what they have to say. Ask them about their work and about inefficiencies and listen for painpoints. Then do something about it. Share best practices: if someone's doing it right or doing something well, don't be shy about sharing that approach with others. Help and support employees: when they say they need it, act. Consistency: stay the course in what you are doing (unless change is desperately needed, especially to introduce efficiencies); constant change causes everyone to have to adjust, adapt, start over, and lose efficiencies. Education and training: the better educated your employees are about the task at hand, the vision, the mission, the brand promise, your products, the desired customer experience, etc., the smarter they will work. Outcomes: make sure employees understand and focus on the desired outcome. Goals: make sure employees have reasonable goals; re-evaluate those goals and make sure they are tied to the desired outcome. Make sure goals and expectations are clearly communicated. Skills: ensure employees' skills are matched to the role and to the customer need. Behaviors: model and reward the behaviors you want to continue, especially those that simplify getting the job done (right). Tools and resources: ensure employees have the right tools and resources to do the job. Automation: any time you can automate manual processes, you're sure to introduce efficiencies. I'm sure there are other - perhaps more tactical - ways to help employees work more efficiently. But if you can get some of the basics down, you should see immediate progress. Work smarter, not harder? Yes, that's what they say. Me? I think there's room for both. Work smart and work hard. Nothing wrong with that. (It's fair to note that some don't believe he actually said this, but let's go with it.) 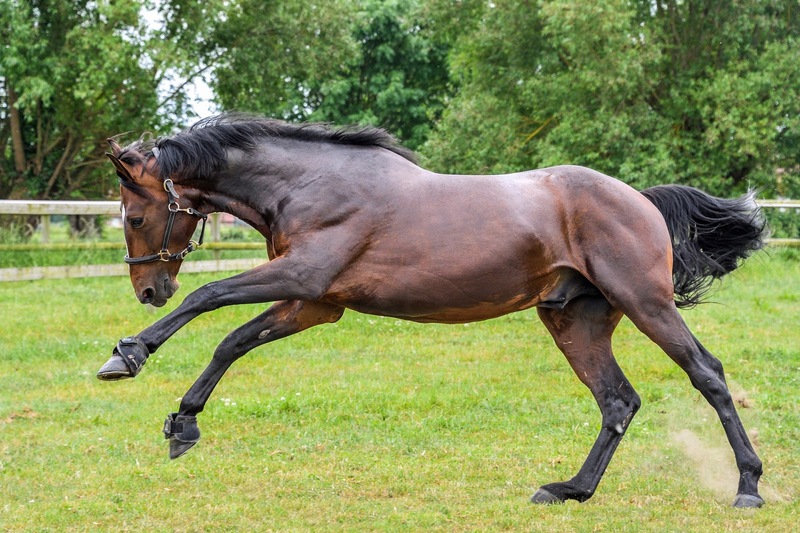 It's cited often when naysayers try to tell us that customers don't know what they want, i.e., customers can't help us innovate because they just want "faster horses." Instead, they feel that some visionary can create a better product; the problem is, these visionaries don't come along every day. So back to the faster horses problem. 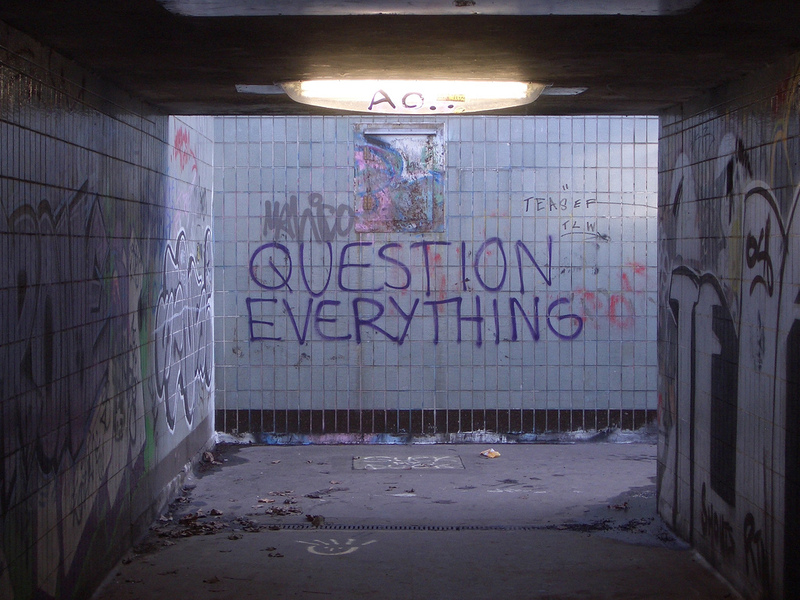 To that I say, "That's what happens when you ask the wrong question!" This is an issue that I've been calling the "Henry Ford Principle" in recent conversations. In truth, most customers don't know what they want. And that's OK. They don't know what they want because they're focused on what they are trying to do, not on designing products - that's your job; if you can solve that problem for them - design a product to help them do what they're trying to do - then you'll sell some products and have some very happy customers. Steve Jobs said: You can't just ask customers what they want and then try to give that to them. By the time you get it built, they'll want something new. This is true. So, don't ask them what they want. Ask them what they're trying to do, what they're trying to achieve. Ask them about their pain points, their needs, their desired outcomes in what they're doing. Instead, step back and ask customers about their pain points with the current product, what it's not doing for them, what they're trying to achieve that they can't. Or bypass thinking about the current product; focus on a situation for which you'll develop a new or better solution. Focus on what customers are trying to do and uncover unmet needs to aid in your new product design efforts. Develop some success metrics: how will you know that you've met your customers' needs? solved their problems? Measure performance/success: how well does this product help customers achieve their desired outcomes? what's the experience? Does that sound too complex? It shouldn't. The customer needs to be at the center of your product design process. If not, and your competitors include them, who do you think will have the advantage? This doesn't mean every product is going to be designed in this manner. Sometimes, products just happen because someone is truly a visionary and has an amazing idea. And there's a willing and ready audience for it. But keep this in mind: If you don't have a customer for your product, then you don't have a product; you just have an idea.